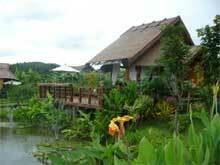 The PuraVida Resort is built on a former orange orchard located 3km outside of Pai town. 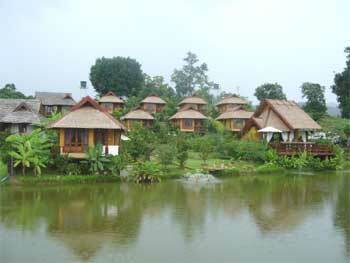 The beautiful sloping character of this resort guarantees magnificient views from all eight bungalows. 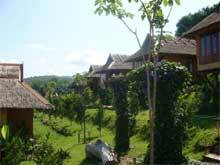 Most of the orange trees are still part of the glorious garden that surrounds all bungalows. Canals that used to feed the orange trees are now filled with plants an fish and connect to the large pond . At the Coffee Shop in the lobby you can indulge on beautiful sunsets while sipping your drink on the porch at the pond. Enjoy your stay at PuraVida Resort and get the best of both worlds : The quiet harmony of nature and - if you like - the lively nightlife of Pai.